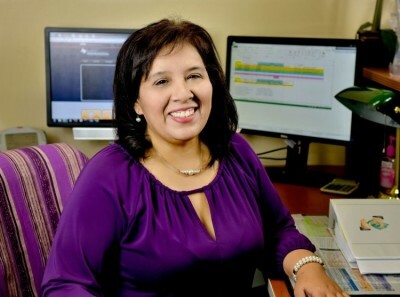 Clara Chavez, has been with the Institute for Economic Development for over 11 years and is currently working as an Administrative Analyst/Training Coordinator for the SBDC Procurement Technical Assistance Center. Clara handles all training activities and assists with administrative functions and all other special projects. She was awarded the Innovation Award in 2005 by her peers.